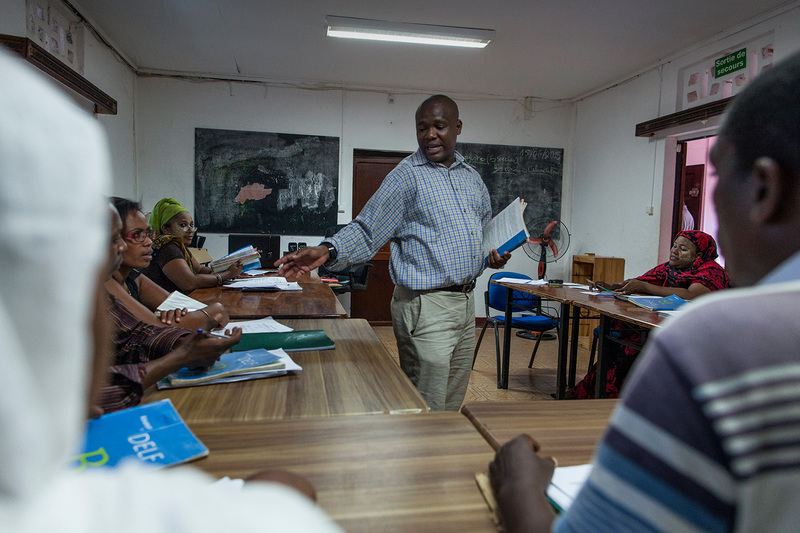 Migrants take french lessons at the Association Solidarite Mayotte in Mamoudzou, Mayotte, France on Tuesday, June 16, 2015. The association is the only center in Mayotte to propose a complete assistance to migrants. They have to complete the Delf B1 certificate to obtain a visa.